The University of Alabama in Huntsville (UAH) Mobile Integrated Profiling System (MIPS) is a mobile atmospheric profiling system. It includes a 915 MHz Doppler profiler, lidar ceilometer, 12 channel microwave profiling radiometer, Doppler Sodar, Radio Acoustic Sounding System (RASS), Field Mills, and surface observing station. This dataset consists of cdf and mom files tarred together for a day. 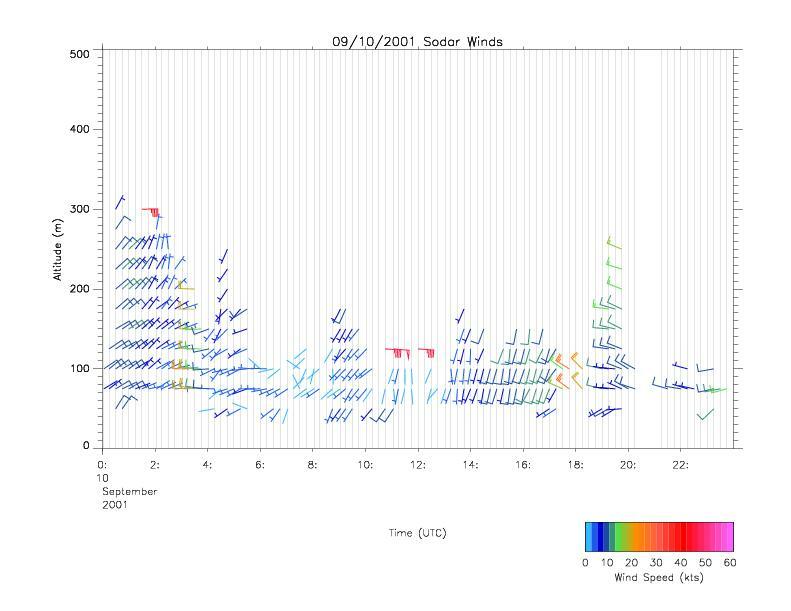 The 'cdf' file collects 15 minute average 3-D wind profiles from the Doppler Sodar starting at the beginning of each day. 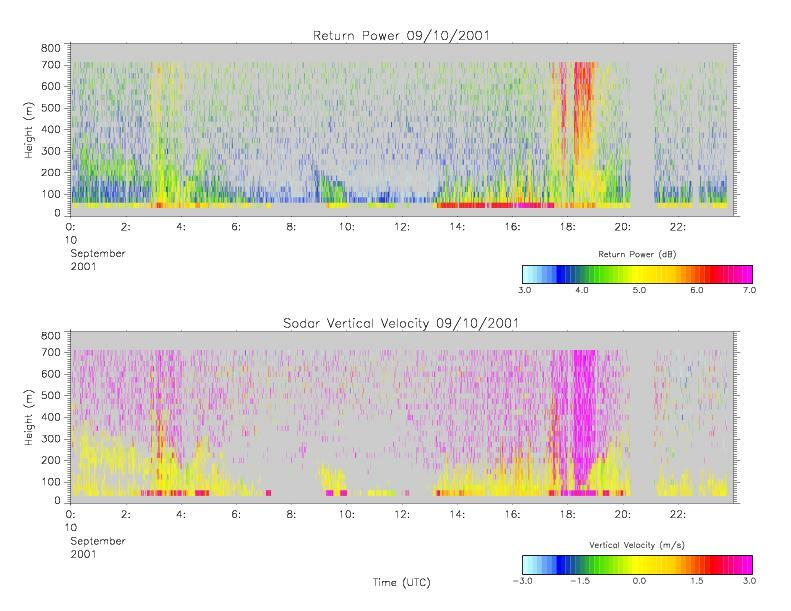 The 'mom' file contains data from each beam about radial velocity and backscattter intensity. Each horizontal beam is approximately 7 seconds apart; vertical beams are approximately 21 seconds apart. Archived by National Aeronautics and Space Administration, U.S. Government, NASA/MSFC/GHRC. https://doi.org/10.5067/CAMEX-4/SODAR/DATA201. Knupp, Kevin and Justin Walters.2002. CAMEX-4 MIPS SODAR indicate subset used. Dataset available online from the NASA Global Hydrology Resource Center DAAC, Huntsville, Alabama, U.S.A. DOI: http://dx.doi.org/10.5067/CAMEX-4/SODAR/DATA201.